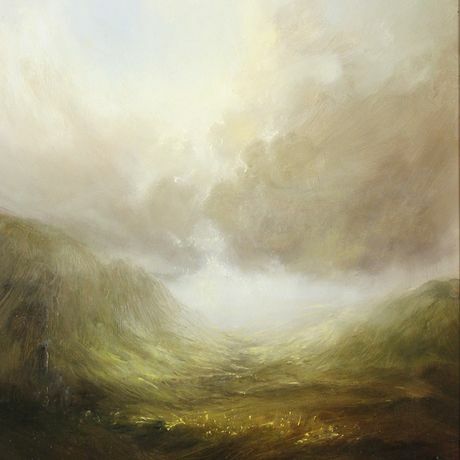 ‘Clare Haley: Light of Yorkshire’ showcases a spellbinding collection of work that magnificently articulates the raw, dramatic beauty of landscape and light. From placid, sunlit valleys of green to suspenseful, stormy skies, the exhibition presents a spectacular selection of Clare’s paintings that tell a comprehensive story of the multifaceted northern landscape she so loves. Arguably one of Yorkshire’s top emerging artists, Clare’s ability to exquisitely capture the emotion and ethereal nature of the British landscape with such unparalleled ingenuity makes her a beacon amongst her contemporaries. Working primarily from memory, Clare’s paintings push the boundaries of imagination whilst retaining an organic authenticity. Since 2010, she has flourished as a professional artist, attaining great success and gaining an international, loyal following at an astonishing pace. The exhibition is an opportunity for discerning art collectors and first time buyers alike to view an exclusive collection of exceptional artwork from one of the most exciting emerging artists of the north. A timeless bridge between the traditional heritage of the arts and the innovation of contemporary vision, Clare’s work offers a universal appeal to even the most diverse range of collectors. All paintings featured in the exhibition are available to purchase, and range from £925 to £1,385. In honour of Yorkshire Day, the exhibition also includes a selection of Yorkshire landscapes, including a specially commissioned scene of the Upper Wharfedale Valley sure to impress.